Thus the power required (for steady level flight) takes the form of Figure 13.3. 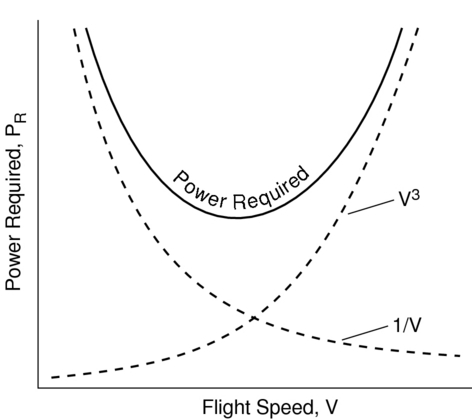 Figure 13.3: Typical power required curve for an aircraft. The velocity for minimum power is obtained by taking the derivative of the equation for with respect to and setting it equal to zero. As we will see shortly, maximum endurance (time aloft) occurs when the minimum power is used to maintain steady level flight. Maximum range (distance traveled) is obtained when the aircraft is flown at the most aerodynamically efficient condition (maximum ).